Here's a brief look at the history of events behind World Music Day, as we gear up for the 2017 edition of the day. The concept of a united day for musicians to mark summer solstice was first proposed by American artiste Joel Cohen back in 1976. But it was France that first incorporated World Music Day as a day of national importance, which was later adopted by many countries. In October 1981, French Minister of Culture Jack Lang appointed Maurice Fleuret as the director of music and dance. The duo conceived an event that will allow all musicians - amateur and experienced - to express themselves. The first World Music Day or Fete de la Musique took place on June 21, 1982 - the year's summer solstice in the North hemisphere. Thousands of citizens came out to part in the initiative all across France, till late at night. It later became a (part) national holiday. 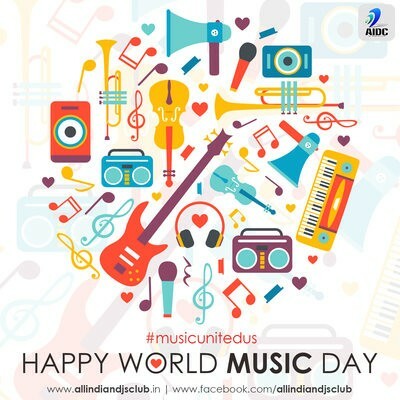 Over the years, World Music Day has evolved to explore new musical trends and music from across the world, and revives traditional music. The wide success and popularity of the event in France led many countries to adopt it in the subsequent years. - 1985 was being celebrated as the European Year of the Music. That year, several European nations started celebrating it. - In 1997, the European Party of Music charter was signed in Budapest, encouraging all countries outside Europe to join the World Music Day. - Over the years, World Music Day, has become an important summer event in several countries. Typically, everywhere, this day signifies bringing out music on the streets and without any profit or lucrative motive.